First off, I would like to thank Tim Bastian of Hangar-A-Aero Services for helping me make all this possible. For a long time I was pondering on what I wanted to do with some savings I had. Coming from a small town called Peckham in London it was always a long way out of my reach to even consider where to put a plane, let alone own one. Having been in the states for nearly 14 years, I was getting close to having my dream come true. I was already on my glider course and was recommended to Tim Bastian for my private pilot’s license. I live in Atlanta, Georgia, and there are an abundance of flight schools, but after talking with Tim on the phone I got a good vibe and 3 hrs later I was in Dayton, Tenn. Tim was with a student, so he told me to feel free to wander around the hangar. As I walked through the door I was welcomed with what I thought was a Volkswagen beetle with wings. It was absolutely amazing. I walked over, opened the door and was welcomed with another surprise, The amount of room inside was amazing. This is it, I thought, I want to own a Seabee. I talked with Tim and then I headed back to Atlanta. After several months of looking at various ads and talking with different people, I found one that caught my eye. After talking with the owners we struck a verbal agreement. 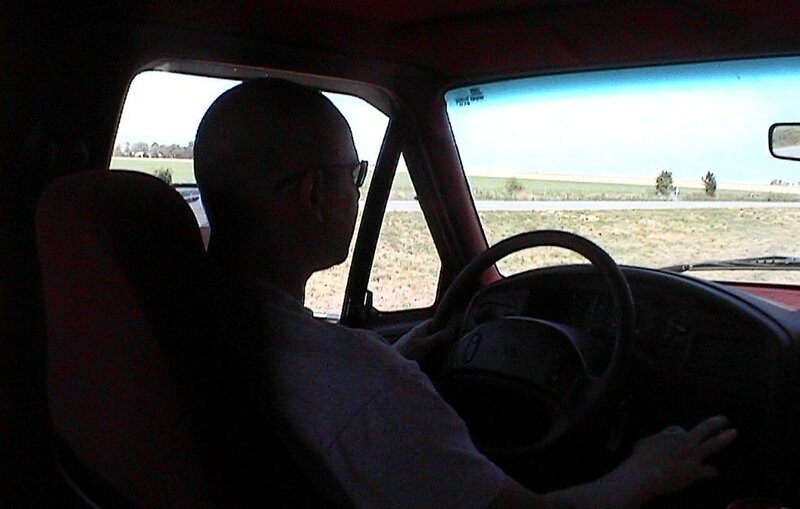 I called Tim and he agreed to head out west and check it out for me. We arrived at Sacramento and were greeted by one of the owners. It was only a 45-minute flight to their flight school, where the other owner greeted us. Tim got stuck straight into checking the plane out. After an hour or so Tim agreed that the plane was in pretty good condition, but was uneasy about the old Franklin in her. Never the less we struck the deal and before we knew it we were taxing out to the landing strip. I couldn’t stop thinking how amazing it felt being in my own plane and a Seabee at that. We were soon at 6500 feet and that plane was running great. A few hours later and we were touching down at Barstow airport. Tim was happy which made me even happier. The next morning we headed to Kingman airport before we knew it we were touching down. Tim said we should change the plugs, as we were messing around the plane I soon realized we had a crowd gathering. I got to talking to one old fellas who informed me about the bee he had many years ago. The fella Tim was talking to had offered his shop so we could clean up the plugs. It turned out that Tim buys oil filters from this guy. What a small world. We got the plugs cleaned up and we were soon taxing on the runway, we got 50 feet off the ground when Tim said we were coming back down. At least we got to check the shocks out. We came down with a bit of a bump. We taxied back to our spot where Tim got to working on what was wrong. Turned out that two of the plugs had totally failed and one of the heli-coils was stripped out. 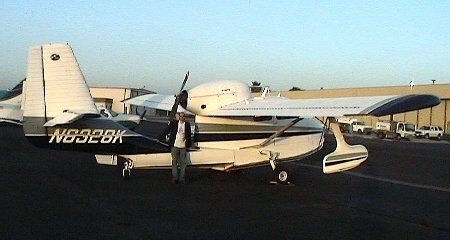 After making a couple of calls Ben Coleman put me in touch with Jim Poel who informed me that Napa had what we needed to get us back in the air. It was getting late so we decided to stay the night and get off to an early start tomorrow. We got to the bee as the sun was coming up. 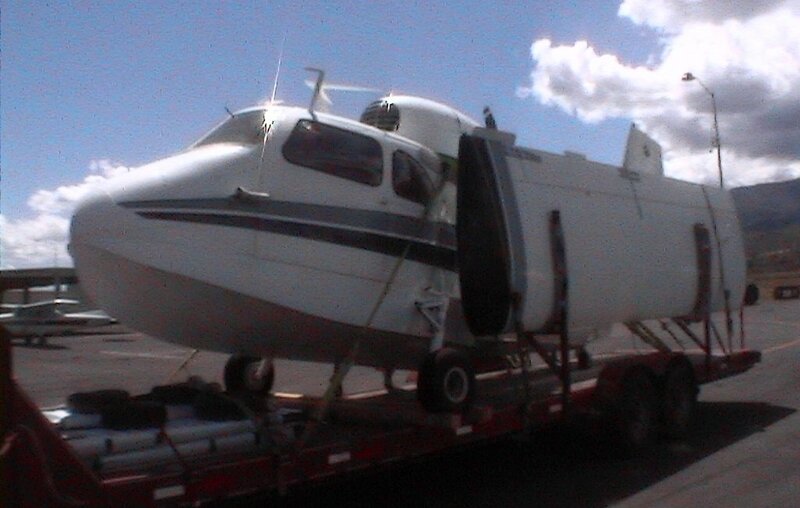 Tim changed out the heli-coil, changed the fouled plugs and we were soon in the air heading for Flagstaff. We were only 15 minutes from Flagstaff when Tim said he felt uneasy with the way the engine was performing, so we made a decision to land at Sedona airport. We found a spot and Tim got to working on the problem, turned out one plug shot out the mags. So it was back to Napa for another set of heli-coil inserts. After installing those we fired her up but it still didn’t sound right. It turned out the plug cables were in bad shape. More phone calls later and the only people around who could help us were the fellas in Kingman. So we had to get a rental car and drive all the bloody way back to where we came from. 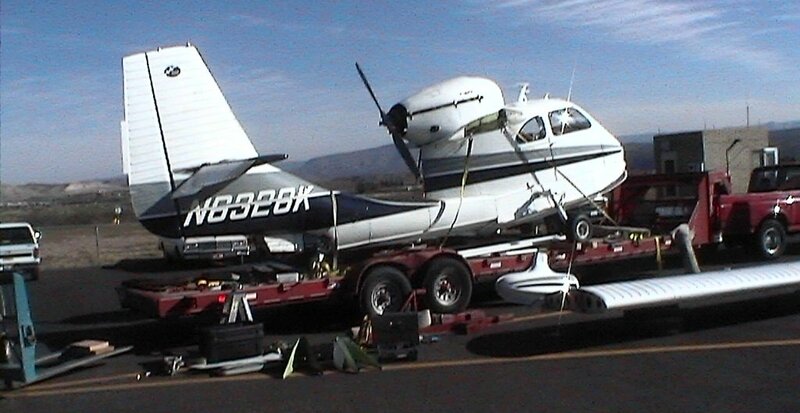 Next morning we installed the leads and are taxing down the runway no problem. We take off and Tim is unhappy we could only make 100 feet in 10 minutes we flew around in circles, which seemed like forever, but couldn’t gain any altitude. Tim decides we need to land. I looked to my left there was a landing strip. It was Cottonwood. We land and Tim gets to doing what he does best, yes you guessed it, more plugs shot out the other mag. Tim works on the plane all day but there is other electrical problems we cant seem to resolve. We make a decision to leave the plane there and fly back home. Three weeks later I’m back with a trailer ready to dismantle her and load her up. It’s now at Tim’s hangar where we are in the process of getting her back in shape. I look back and realize that the Seabee clique is outstanding. Tim Bastian, Ben Coleman, Jim Poel, those fellas at Kingman airport; my hat goes off to all. All the e-mails I’ve had from other bee owners I thank you for your kind support and I look forward to meeting all those at the fly-ins very soon.